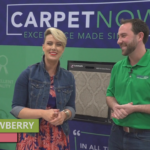 Having trouble picking the right color of carpet for your home? You’re not alone! 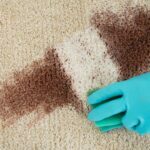 Most home owners only replace their carpet every 5-10 years so its no wonder this process can feel a little daunting. The good news is that Carpet Now has made it easier than ever with our curated selection. We only sell the top selling colors and stay away from creating “paralysis by analysis” with too many color choices. Here are 4 tips to making the best color choice for your room. Contrast is a good thing. You do not want to “match” your new carpet to the wall color or other flooring in the home. You want to pick a carpet color that Coordinates with the home and shares the same color family. Pick a theme: Warm, Cool or Greige. If you have warm walls, stick with earth tone colors (beige, cream, etc). If you have cool or grey walls, stick with a cooler colored carpet. If you want a carpet that can work with both cool walls and warm walls then check out greige colored carpets. Greige (or taupe in some cases) can be an excellent middle of the road neutral color that works well in both warm and cool colored homes. Lighter & Darker colors Pros/Cons: The great thing about light colors is their ability to make the room feel larger. The darker colors are great for hiding dirt and spills from kids. Looking for more tips? Check out this video below from Mohawk.